let's check the rockslide out! 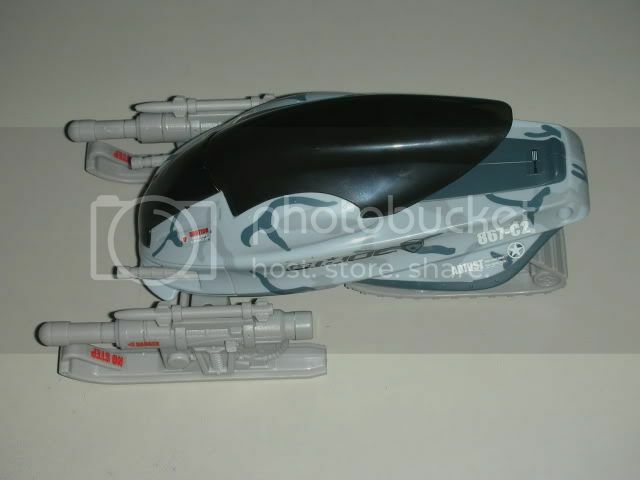 the rockslide is a sleek vehicle. i'm a big fan of curves, so the rockslide looks ok for me. 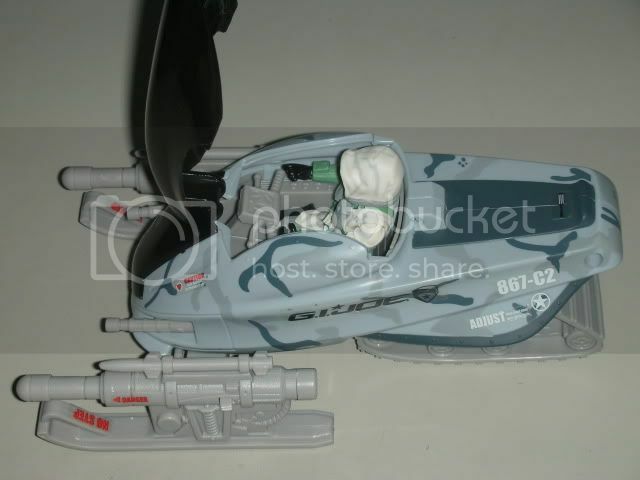 it has a pair of front skis, which can slightly be turned to the left or to the right. 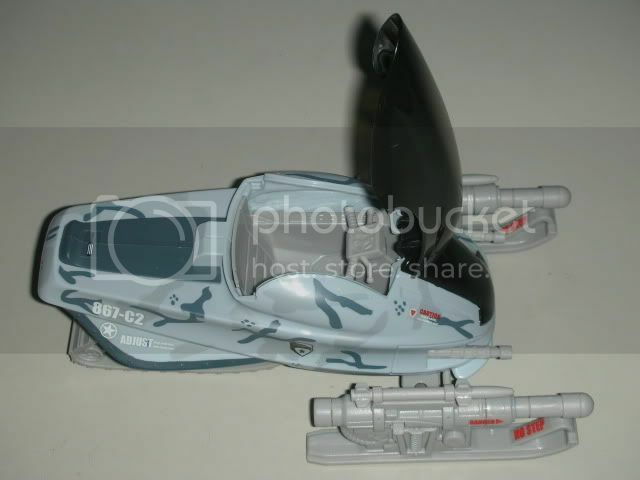 each of the front skis is mounted with a spring-loaded launcher, with an unremovable missile on top. 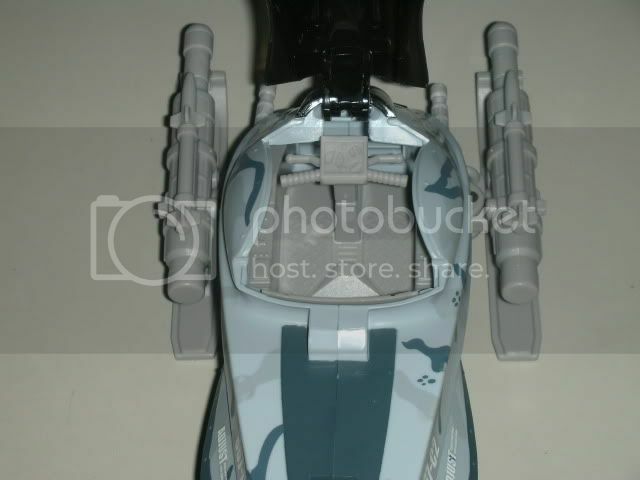 the rockslide also has front gun turrets poking out on the sides. firepower! being true to the all-terrain tag, the rockslide features pivoting treads, thanks to the ratchet joint in it. it's a simple feature, one that can be overlooked, but it's a welcome addition. the canopy opens to reveal a cockpit. 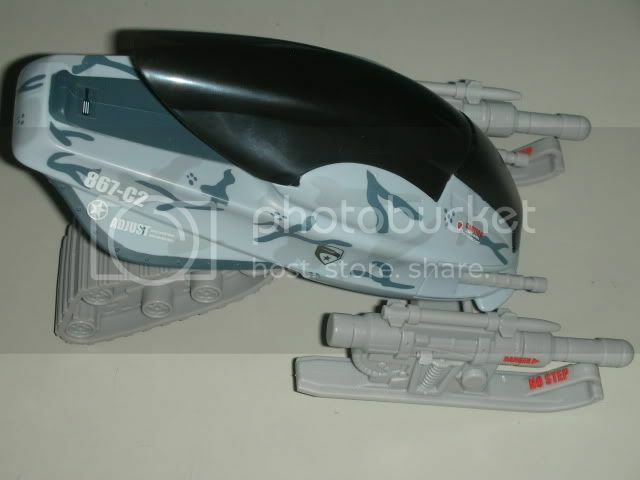 the cockpit can only accomodate one figure, but it is quite spacious. 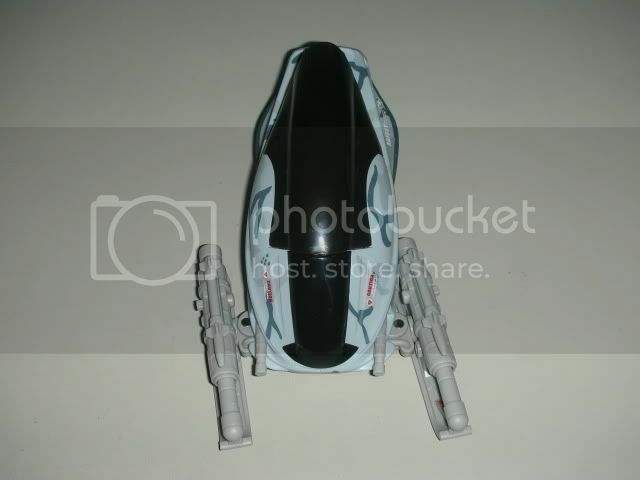 it can even accomodate a figure with a holster on each hip. 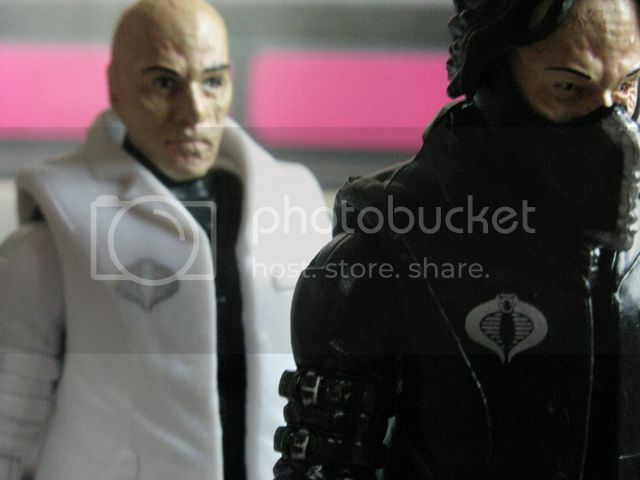 i tried putting my arctic snake-eyes in, but the canopy won't shut tightly due to his large hood. snow job fits well in the cockpit, even if he has a skirt. 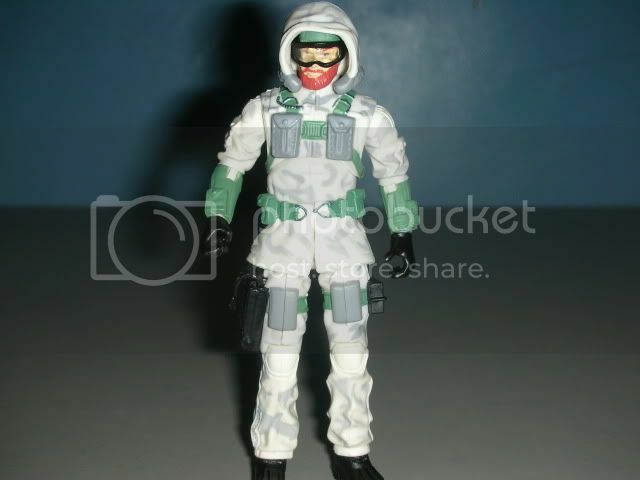 snow job, for me, is a dull figure... he is just a repaint of the 25th anniversary snow job, with less accessories... i like the camo on his outfit, but the green sleeves, belt, and (sculpted) harness don't quite look good on the figure. 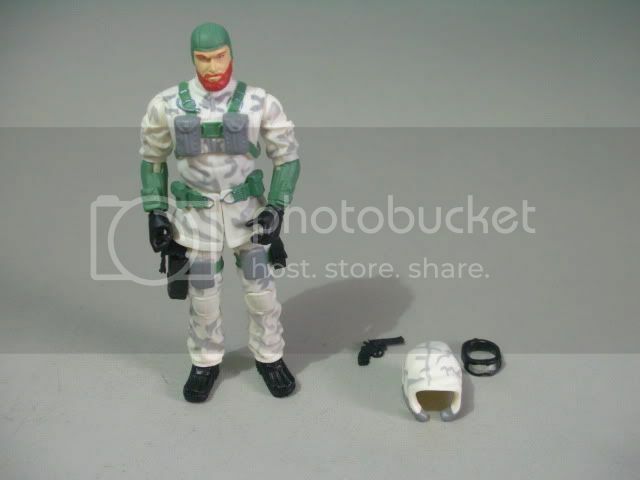 there is nothing new on this figure except for the paint, and that brings the value of this set down. 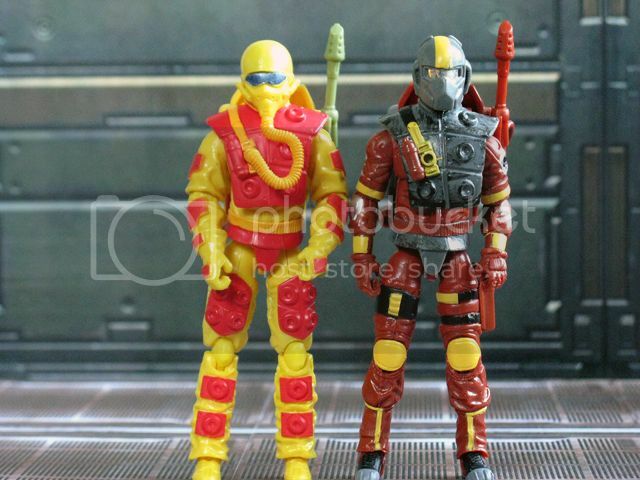 it would have been nice if hasbro threw in a unique character instead of snow job, as that would have increased this set's appeal. 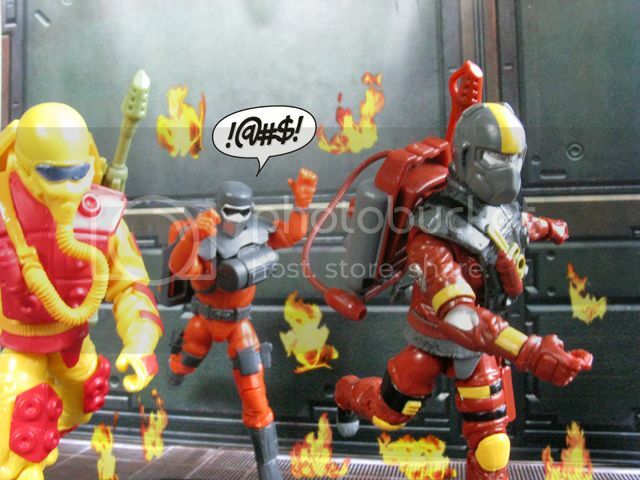 the rockslide a.t.a.v., as a set, is good enough. 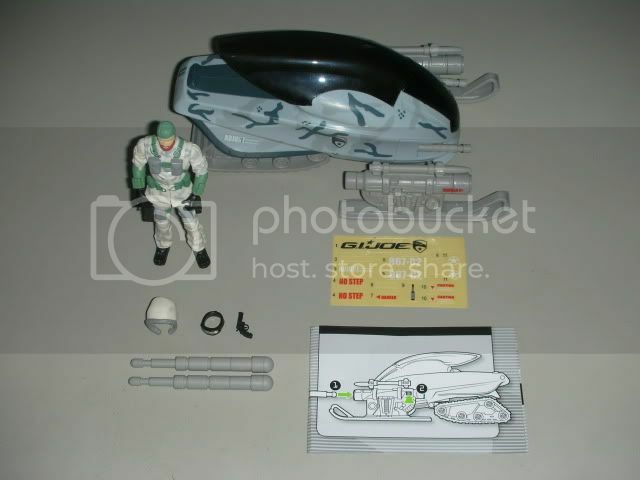 you get a vehicle that was featured in the movie, with some play features, and a dull figure that you can keep or throw in your customizing bin. it's ok to get this for 1000 bucks, but if you have another extra grand, get the ice dagger instead. 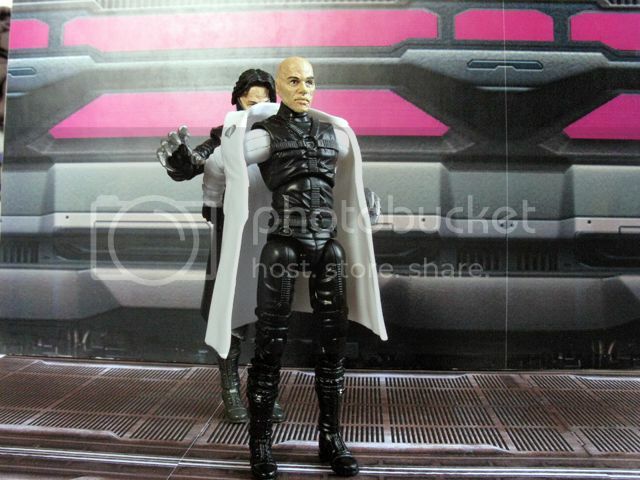 Destro's Chief Experimental Doctor. 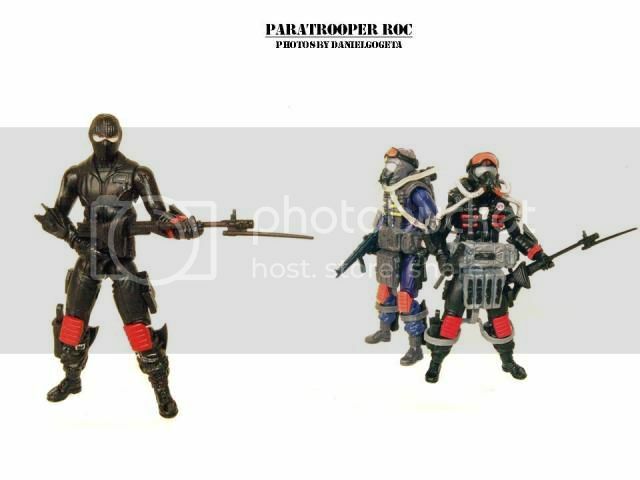 Who later turns out to be the Baroness' brother and Duke & Ripcord's old war buddy and at the end goes on to become the Cobra Commander. 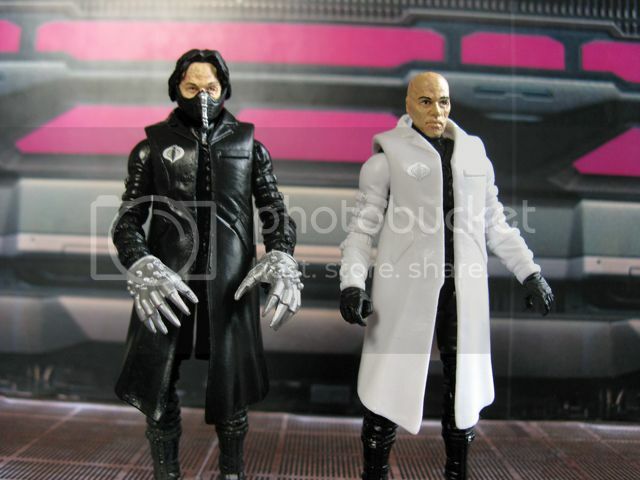 This figure comes in two variants: a movie-accurate black labcoat variant, and a white labcoat variant. Both variants come with the same accessories. Like the other movie figures, this is an all new sculpt and is quite accurate to the character's on-screen appearance. The Doctor has the Professor Snape-inspired hair, the Darth Vader-inspired breathing apparatus, and the Terror Claws Skeletor-inspired claws. 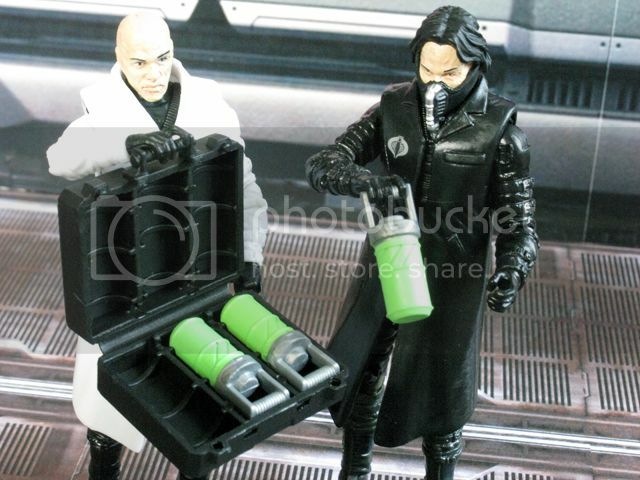 The Doctor also comes with the hypodermic nanomite injector, and a briefcase which contains three nanomite canisters (different sculpt from the breifcase included with the Baroness). 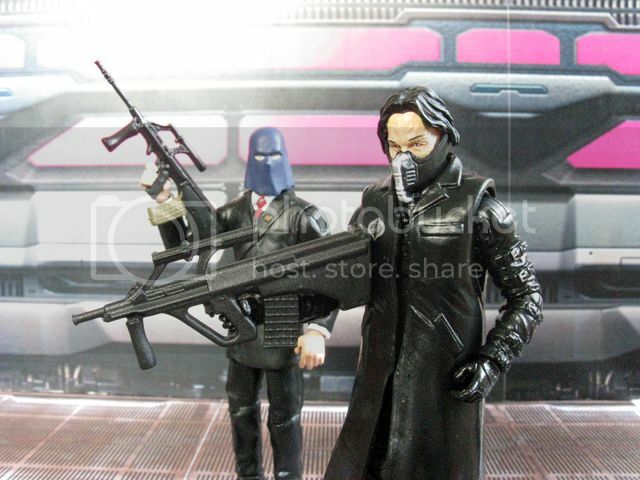 The Doctor also has a Steyr AUG Para, but this being a Hasbro-produced accessory, is way oversized and dwarfs Marauder's full length AUG A1. 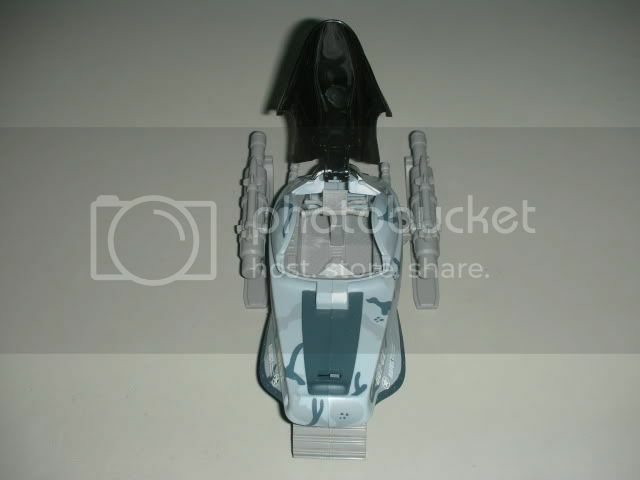 This figure's giant spring loaded accessory comes in the form of a giant spring loaded claw to grab other figures or objects such as stuffed toys, jewelry, Gashapons, hats, dolls, shirts, candy and electronics... and resembles something Cobra Commander stole from a claw vending machine like UFO Catcher. 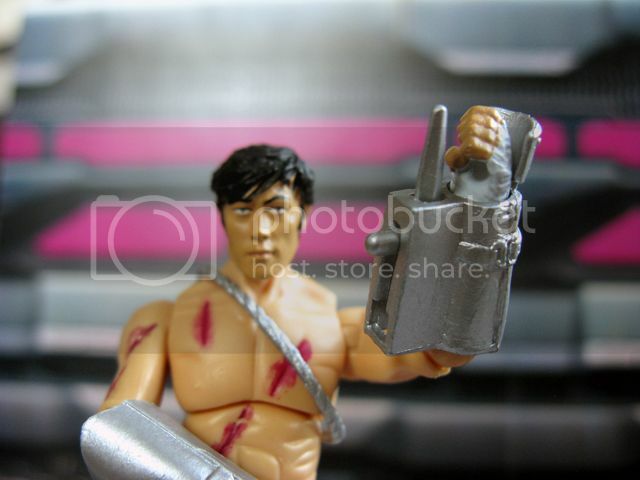 I actually prefer this figure over the Krang figure since this is how the character appeared throughout almost the entire film. OK, first of all, there is an unmasked variant of the Arctic Assault Storm Shadow. 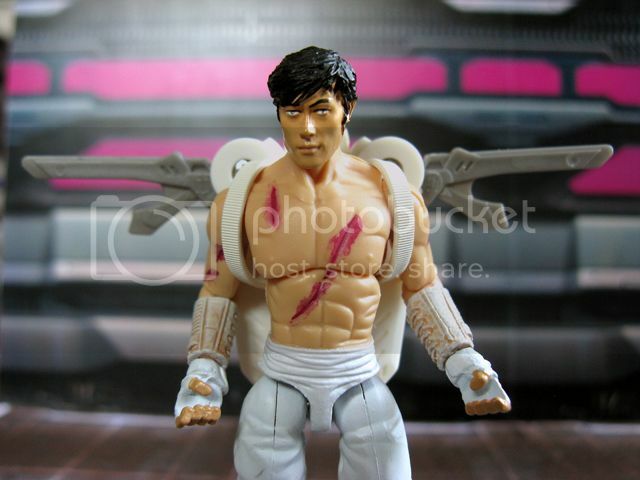 This variant uses the Byung-hun Lee head and does not have the torn collar around the neck. Aside from that, everything else is the same. 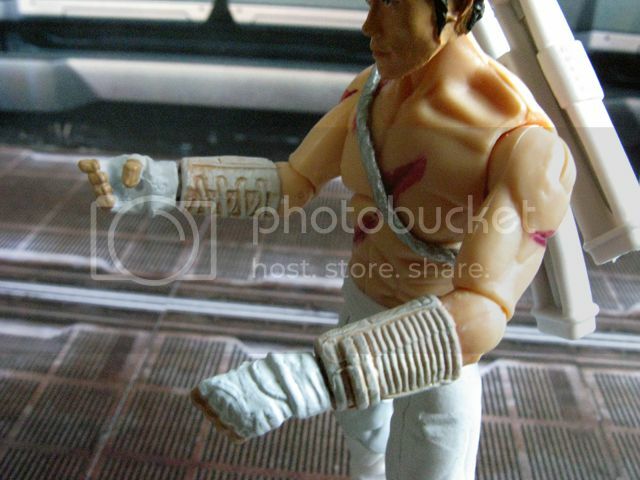 Both figures are made from the cancelled Resolute Storm Shadow torso and arms with new forearms and the movie Storm Shadow hands and legs. 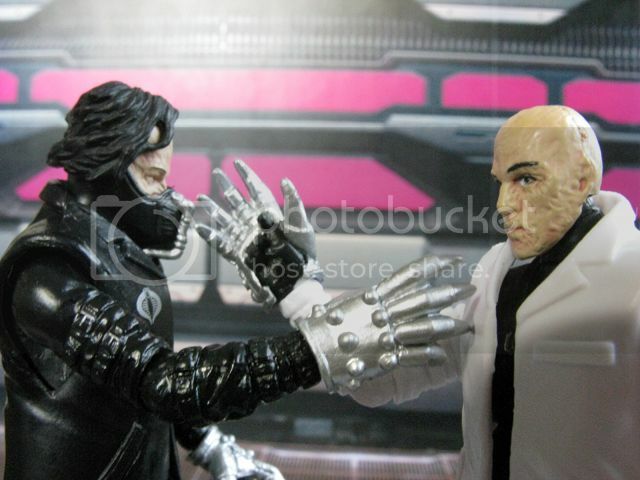 True to his on-screen appearance, this figure has the scars sustained during his duel with Snake Eyes. 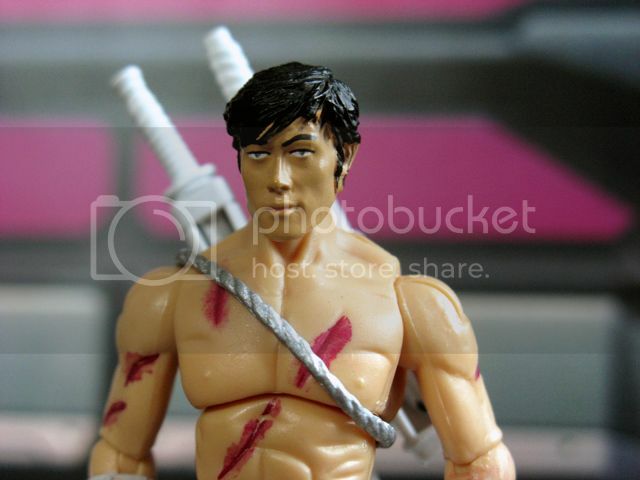 The scars are not only painted on but are sculpted (there goes our chance at a Resolute Storm Shadow). All the blood seems a little strange for a child's toy but as mentioned, this is how he appeared in the film. 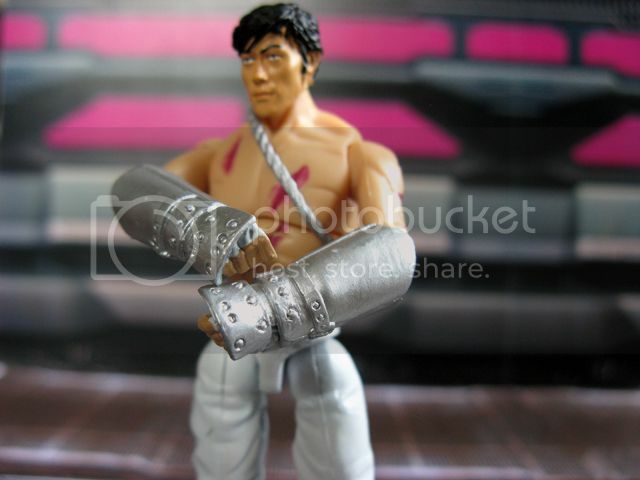 The forearm pads are painted strangely: they are white but have a heavy wash of flesh/skintone. I'm not sure what this effect is trying to achieve. 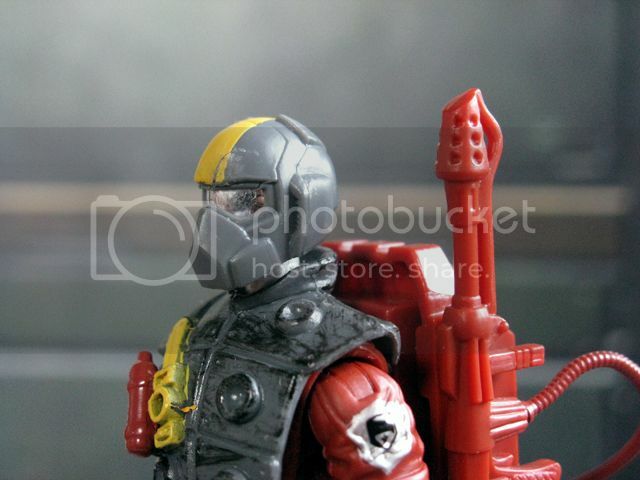 This figure comes with jetpack (different from the Resolute jetpack). 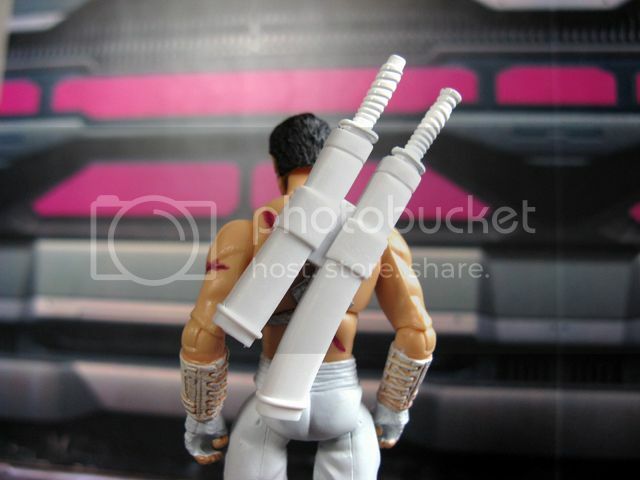 This accessory is meant to represent the jetpack Storm Shadow used to escape from the previous scene (Attack on the Pit) and should have probably come with the masked Storm Shadow instead, and the nanomite launcher that came with that figure should have come with the Paris Pursuit version. 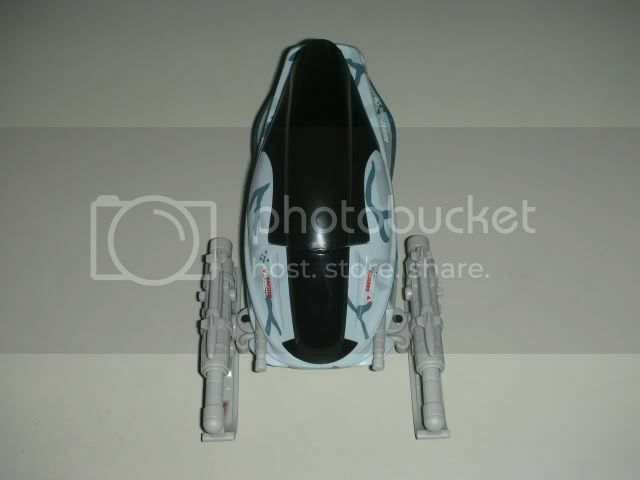 This jetpack serves as the figure's giant spring loaded accessory: the wings flip out at the press of a button! Anyway, the figure also comes with the requisite twin saya (scabbards) for his back; a silver colored rope to simulate the strap of the saya; and of course the katana and wakizashi. Note that these two swords are new molds and were meant to attach to each other by the kashira (pommel) and the wakizashi (short sword) actually has a peg for the kashira while the katana (long sword) has a flared kashira but no hole for the peg. Nothing a Dremel won't fix. 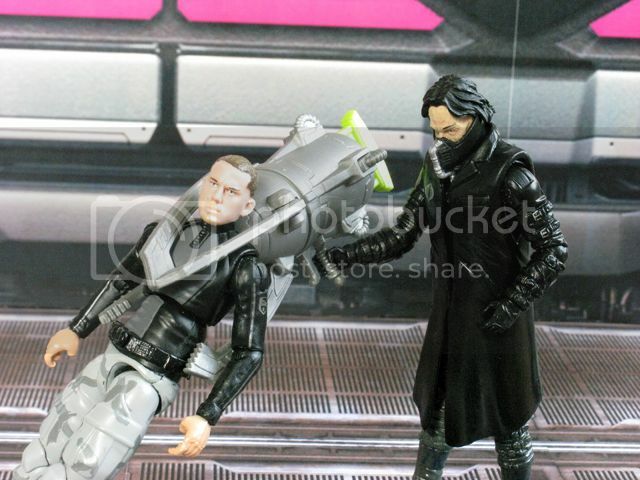 This is one of those figures you have to get just because it's screen accurate or because of the jetpack. 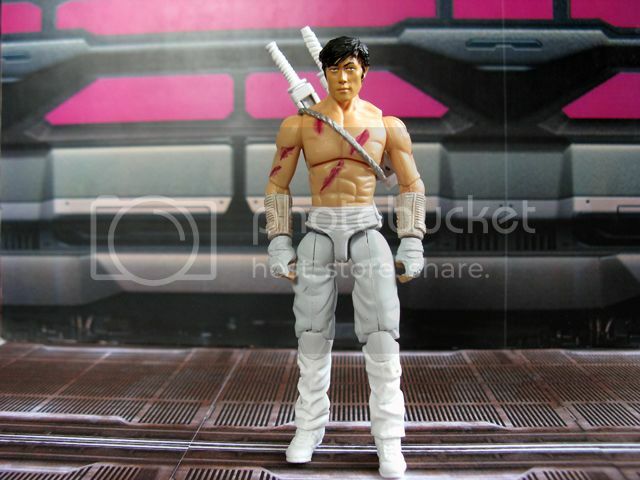 But if you're just looking for a default representation of movie Storm Shadow, either of the first two figures will do. Charbroil is another one of those Frankensteined figures. 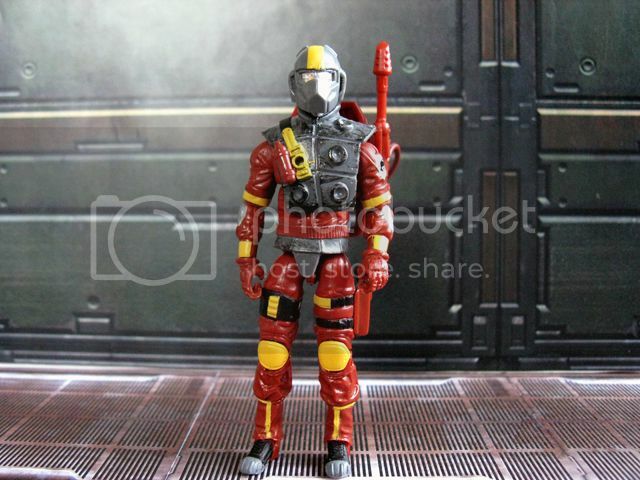 He is made from Blowtorch/Snow Serpent's torso, Resolute Duke's arms and legs, and the chrome Cobra Commander/Viper head with a new helmet. The combination of parts works for a flamethrower, with the parts from different figures flowing together nicely... BUT it looks NOTHING like G1 Charbroil. 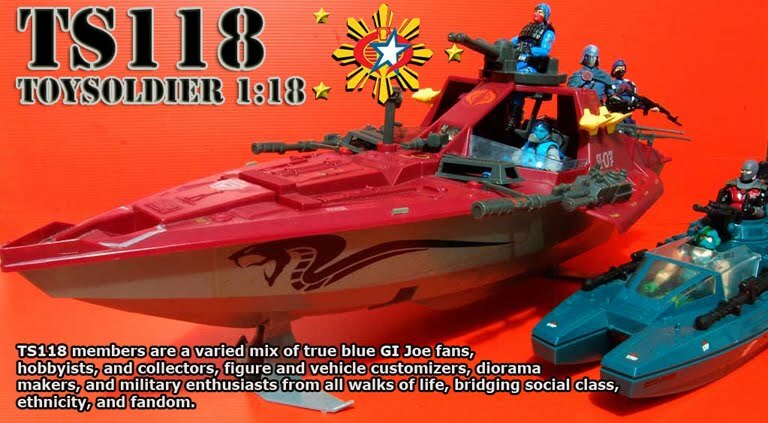 The color pallette is not entirely G1-accurate either. Charbroil still has the deep yellow highlights but what was originally a mahogany suit is now brick red. Also, the silver helmet and armor plates on the G1 figure are now gray with alot of dry brushed black to simulate ash and soot. 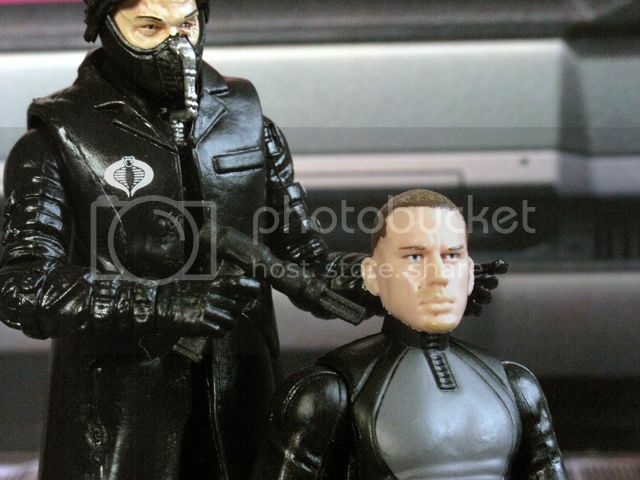 Strangely though, this figure retains some silver "plaes" (just painted on) along the arms, the upper ones with the movie-based Joe logo. 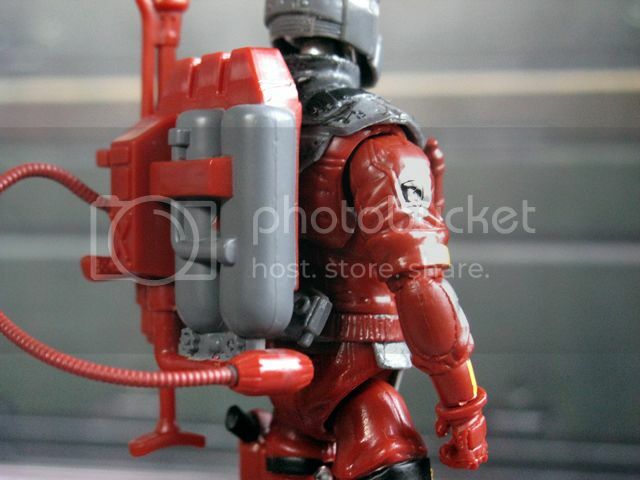 Charbroil comes with Blowtorch's flamethrower and fuel backpack, and chest armor. The helmet is new and is glued on to the chrome head. Watch out for this as my figure's helmet was glued on sideways so I had to remove it with a blade and accidentally sliced part of the helmet (above the upper left eye, see photo, and also at the back). 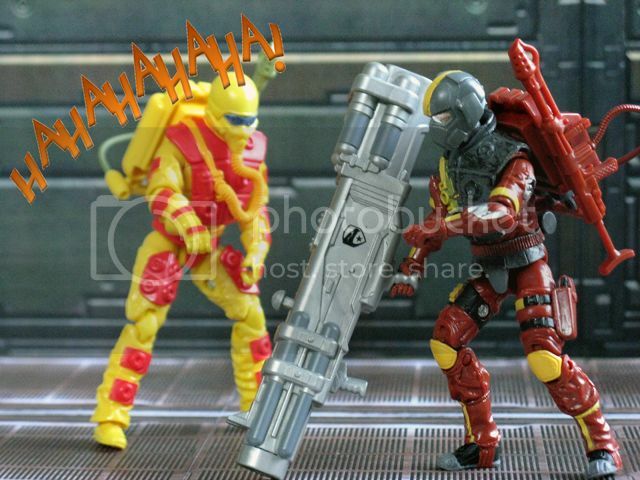 Charbroil's giant spring loaded launcher is a giant spring loaded flamethrower which fires a fireball shaped projectile. 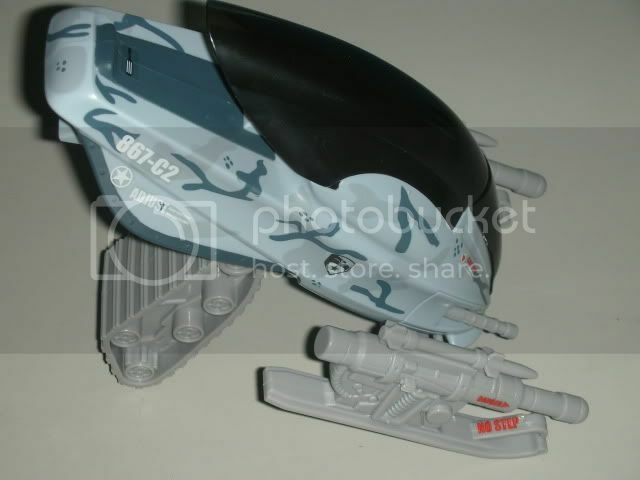 Is this an accurate representation of G1 Charbroil in G3 construction? No. Does this figure work as Charbroil? Yes. It's about time the fans realized that the 25th line is dead. This figure works as what it is meant to be: a new representation of an old character. Not an old figure in new construction. 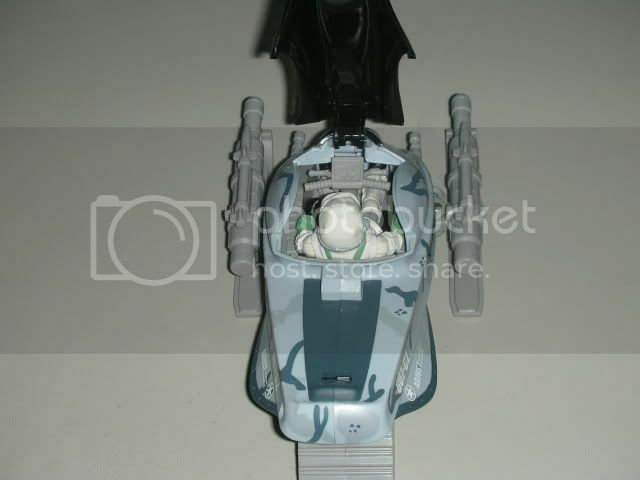 The Best - Its a modern day Imperial Tie fighter pilot that joined the ranks of Cobra. The black outfit really rocks! 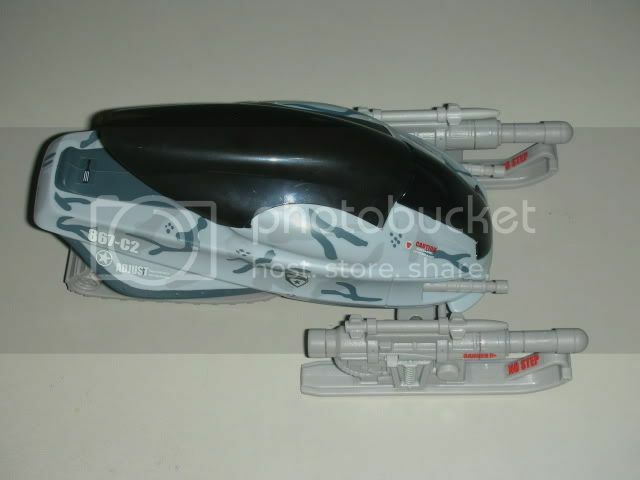 The Bit-off - It came with a rotor craft far different from IG Vindicator. Having the figure go attached to it is kinda hard, since the handlebars dont fit well and the backpack stalk never keeps itself in place. The rotorcraft also doubles as a pencil launcher but again I cant seem to position it right without having the figure topple down. The Unknown - I got this figure loose from ebay, and so far I can tell its missing some accessories. 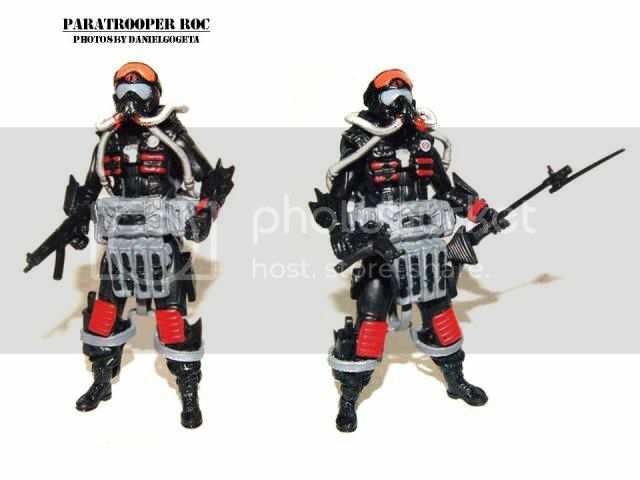 The fins, the headgear and the machine gun magazine I have to replace with my other paratrooper. I cant say if it does come with the gear. 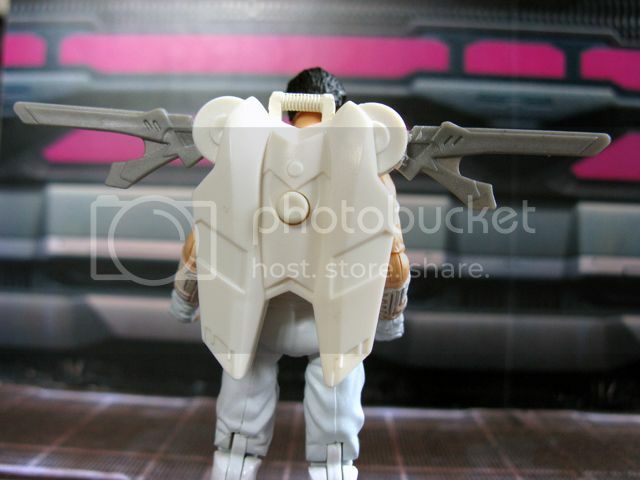 The Quality - material used for the figure is lighter and less rubber-like compared to its 25th predecessor. 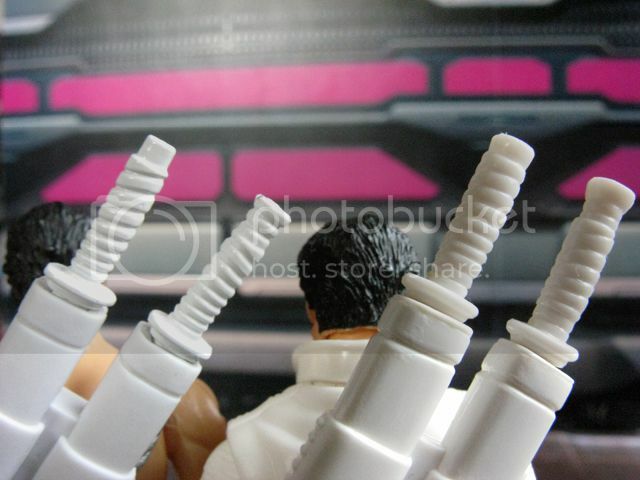 Perhaps Hasbro cutting some corners in production cost. Still looks great though holding both you can actually feel the difference. The Verdict - The version really works well for me, aesthetically black is beautiful. 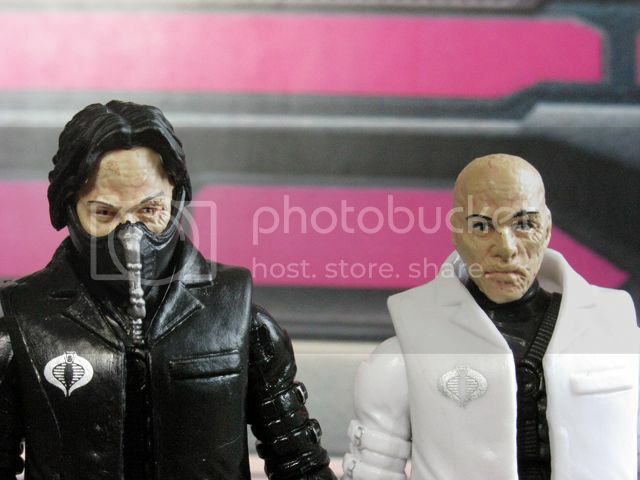 Saw these from Glenn when he got it from the toycon, and want to get one to add to the collection. 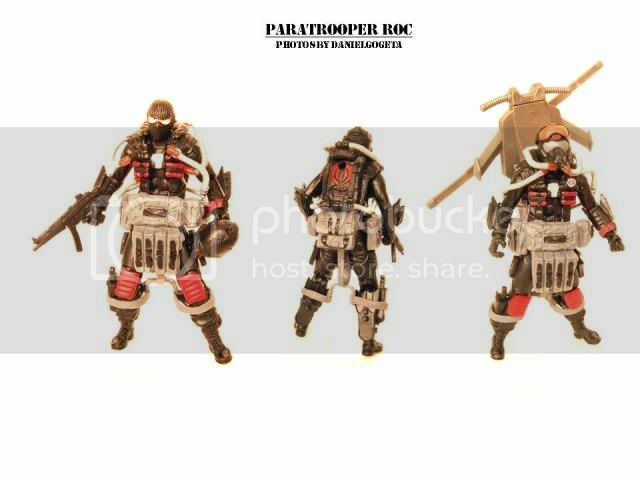 Its a sure buy for me once it comes out from retail, a definite army builder.